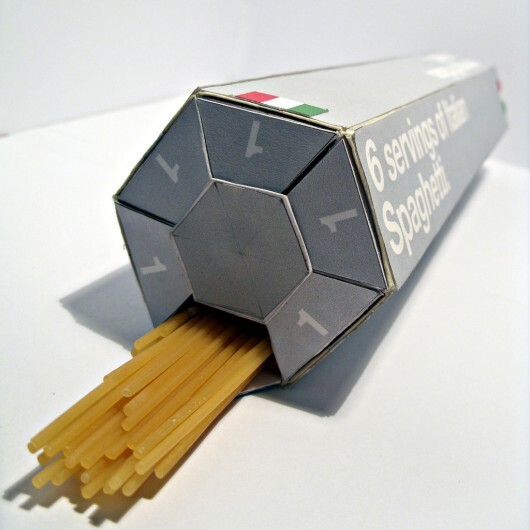 Hexagonal Spaghetti Packaging | Shelby White - The blog of artist, visual designer and entrepreneur Shelby White. 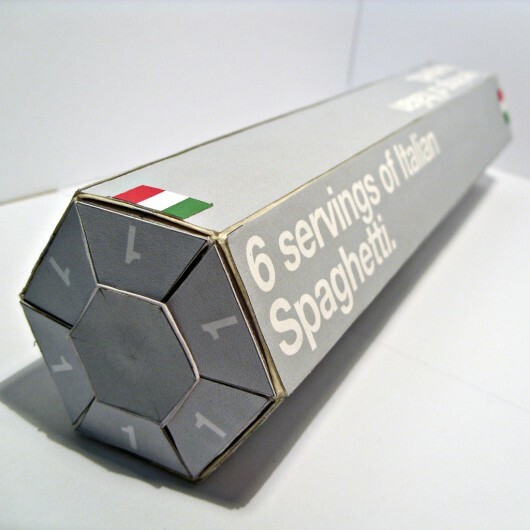 Neal Fletcher designed this intriguing spaghetti package while in his second year at the University of Central Lancashire. I find this packaging particularly interesting in the sense that it divides up serving size. I find this helpful as I constantly over do the serving size every time when I make spaghetti. Definitely a good idea. I’ve seen some tool somewhere that does something similar but if the packaging already does it, even better. 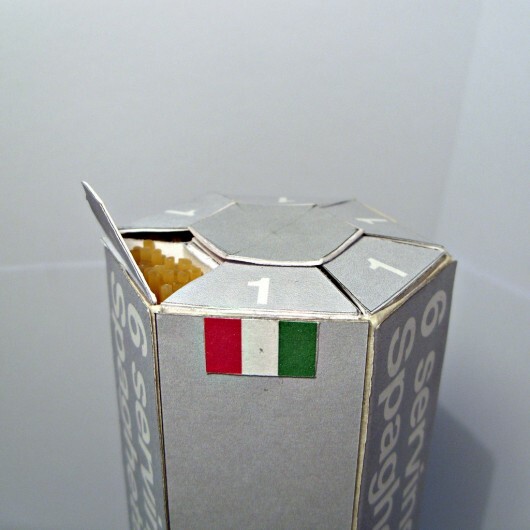 The packaging looks a little flimsy though, seems to be in an early low-budget stage of development. 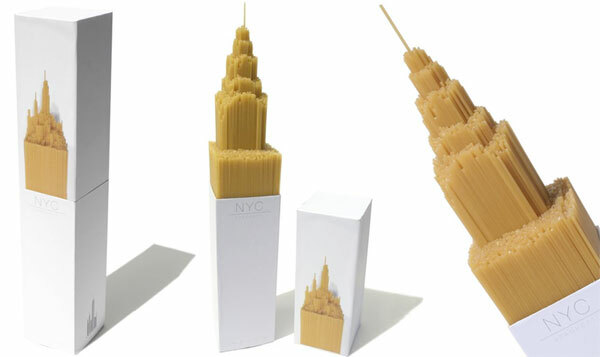 This reminds me of the other spaghetti package designer from college that, when unpackaged and opened, comes out in the shape of this specific building. Forgot which one. Oh well.